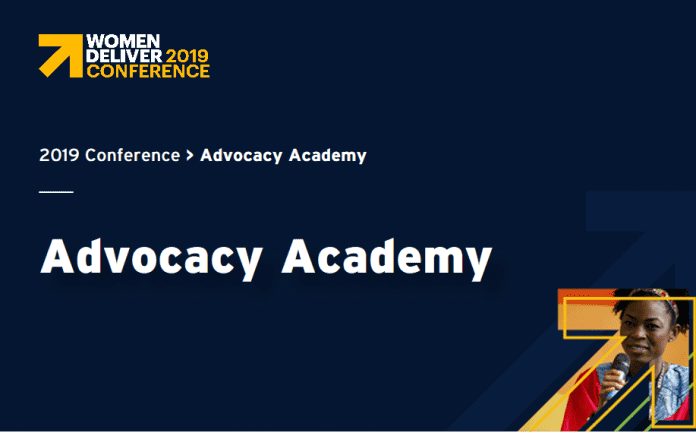 Women Deliver is excited to launch the Advocacy Academy: three, brand new advocacy skill-building opportunities exclusively for Les femmes livrent la conférence 2019 registrants! 3) In-person Skills-Building Workshop at the Women Deliver 2019 Conference: Two day, in-person workshop from June 2-3 in Vancouver, just ahead of the Women Deliver 2019 Conference. Advocates will practice techniques and tactics to advance their advocacy initiatives and refine a personalized advocacy strategy in a series of hands-on, interactive lessons and activities.